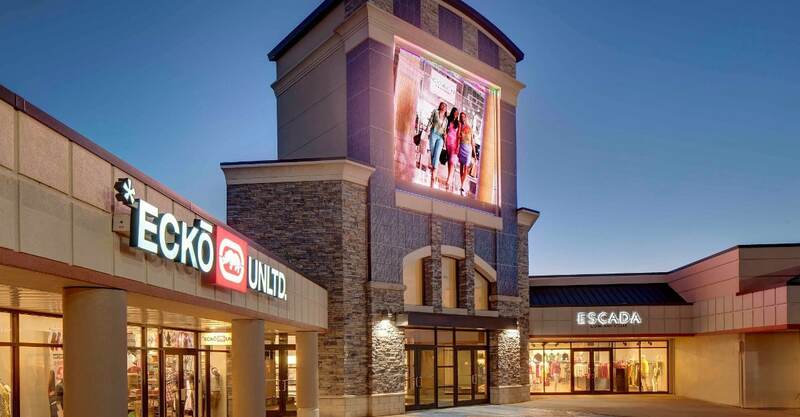 With 150 outlets and over 500 000 square feet of shopping variety, the Fashion Outlet Mall has made a name for itself in the Niagara area as one of the largest and most convenient outlet malls in America and Canada alike. Its proximity to the border means the mall services both the US and Canadian partitions of the greater Niagara area with ease. The mall itself is located in Niagara Falls, New York, USA. And with the new expansion taking those totals to 200 outlets and 750 000 square feet, the Fashion Outlet Mall is consolidating its position as the one-stop shopping location for fashion and brand-name accessories. The larger outlets stores include Nike, Gap and Ralph Lauren, for affordable casual and sports wear. Clustered around these are additional outlets featuring well-priced and fashionable clothing and accessories: Banana Republic, Johnston & Murphy, Levi’s, and so on – or Carter’s Children wear for the kids. In between the clothing small goods and services gems can be found – nail treatment salons, candle shops, chocolatiers and so on. For lunchtime shoppers the food court and local food outlets cover every taste bud. At the heart of the complex a food court features snack foods and treats in Cinnabon, Ben & Jerry’s, Dunkin’ Donuts and Yogen Früz; full-course meals are offered at places including the Chinese-cuisine Lotus Express or the health-conscious Pita Express. The new expansion will add a variety of outlets and shopping options, expanding the available goods and services. The Disney Store will be one of the flagship new shops, selling fan-favourite items and merchandise. Boutique fashion labels and wholesalers like Perry Ellis, Christopher & Banks, Kenneth Cole, Talbots and White House, Black Market will open new outlets in the coming months. Accessories will be available from Vera Bradley, and shoes from Sperry Top-Sider and Merrell. Even sports gear is covered in Helly Hansen and Asics. The jewel on the crown is the new Swarovski outlet with its iconic cut glass and jewellery ornaments. As Niagara has developed on both sides of the border, the Fashion Outlet Mall New York on Military Road has remained the a hub of consumer activity for both the American and Canadian portions of Niagara, and continues to grow with the region’s development. With the latest expansion freshly complete, the mall is poised to become more important to the region’s commercial activity than ever.